Welcome to the Save Stemmers Run Station Research Page. 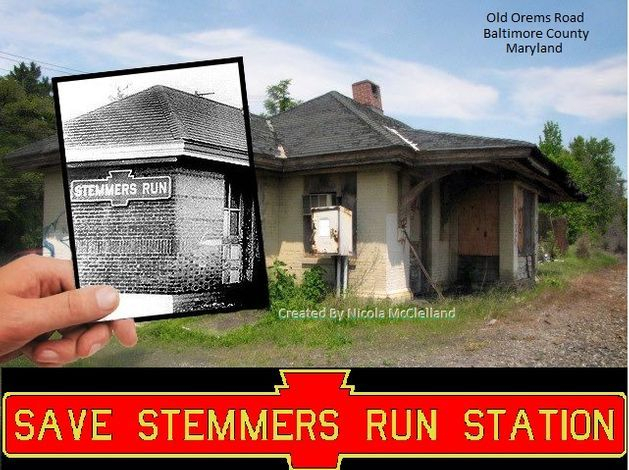 Stemmers Run Station once served Essex/Middle River and the surrounding communities of Baltimore County, Maryland from 1838 to 1956. It is located at the corner of Golden Ring and Old Orems roads. The station was used between 1838 to 1956 then around the early 1970's by Amtrak Maintenance of Way. * The Baltimore and Port Deposit Railroad was created only to construct the line from Baltimore City to the Susquehanna River. * The PWB and PBW were subsidiaries of the Pennsylvania Railroad.